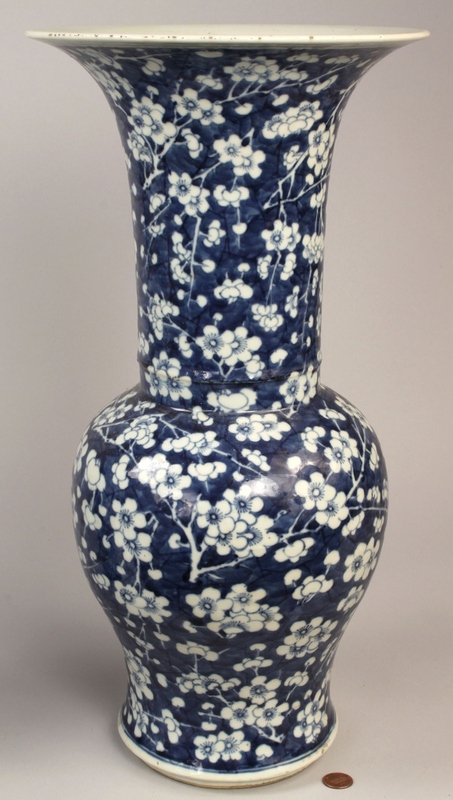 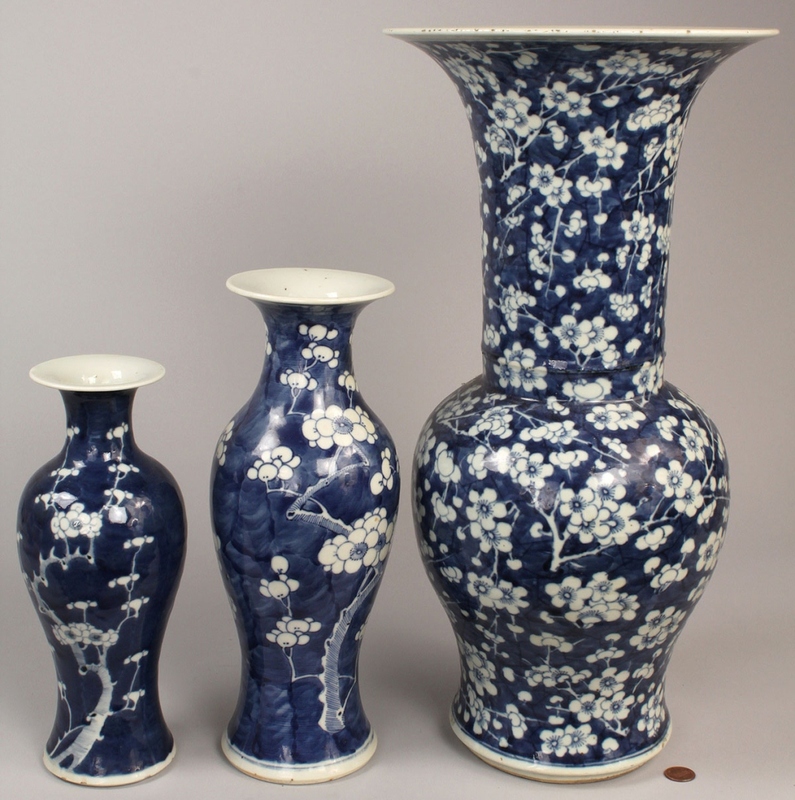 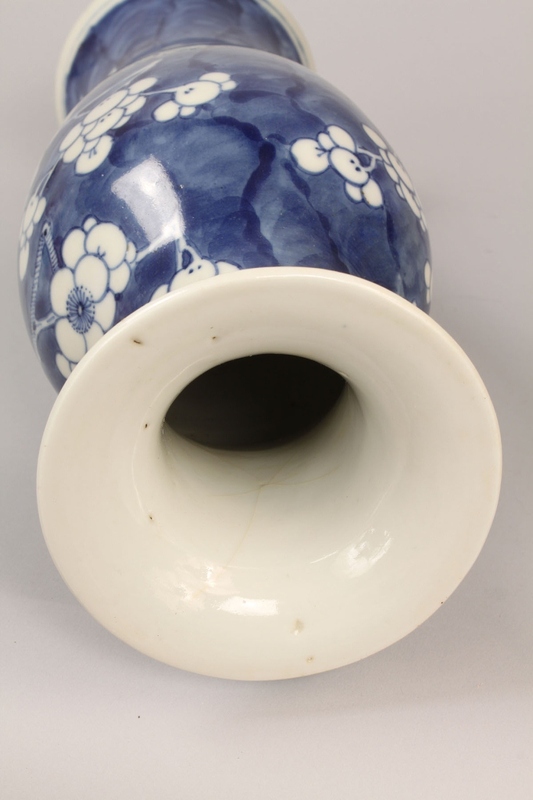 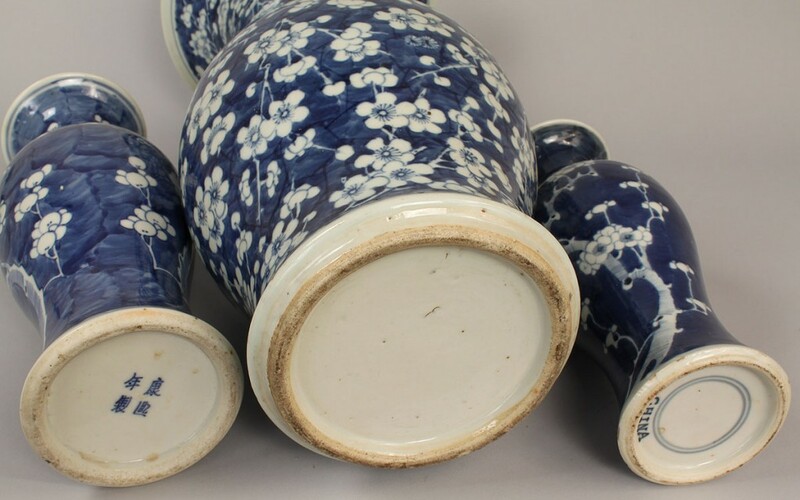 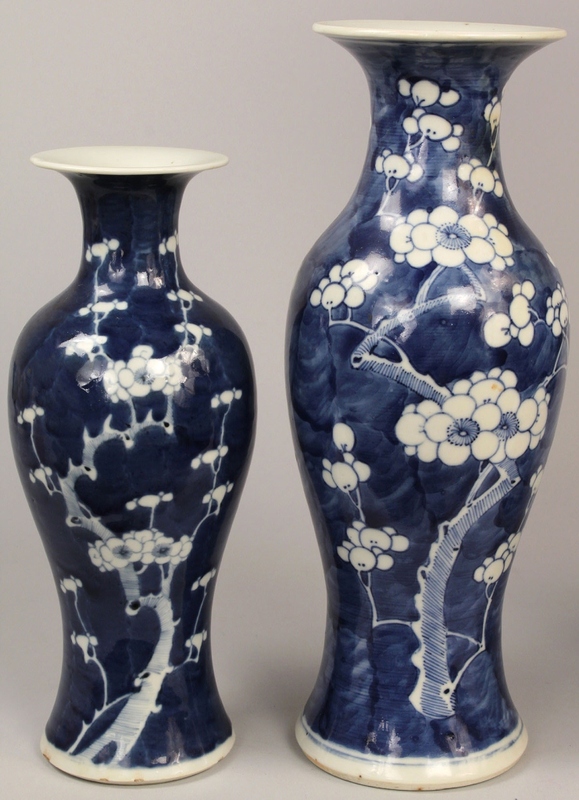 Lot 619: 3 Chinese Hawthorne Porcelain Vases, 19th c.
You are here: Home >> 2011 10 01 Auction - Knoxville, TN >> Lot 619: 3 Chinese Hawthorne Porcelain Vases, 19th c.
3 Chinese "Hawthorne" blue and white porcelain vases, 19th century.1ST ITEM: One large trumpet vase, unmarked, 17-3/4" H. 2ND ITEM: 12" H vase with 4 character marks on base. 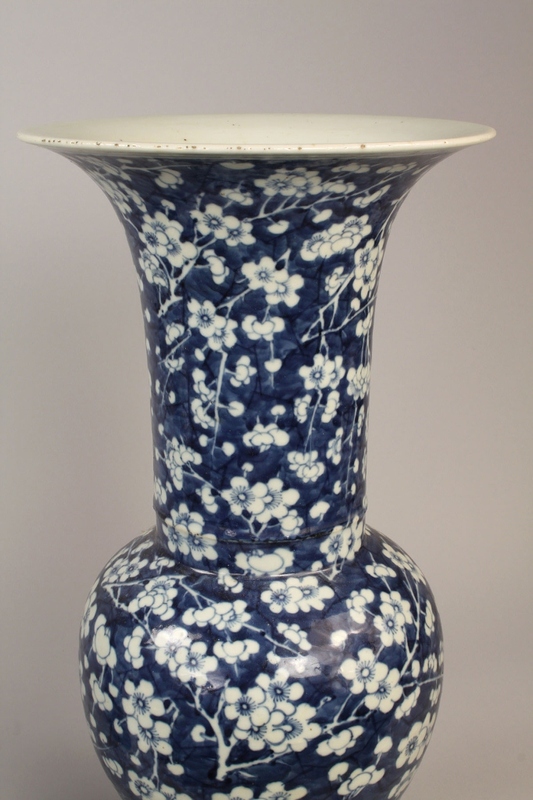 3RD ITEM: 10" H vase marked CHINA with double concentric circles on base. 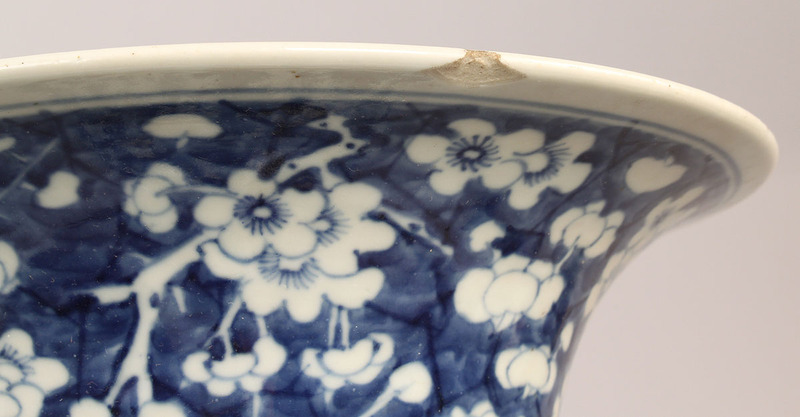 Condition: 1ST ITEM: Overall very good condition, some minor chips to the underside of rim. 2ND ITEM: Spider hairline inside upper neck area. 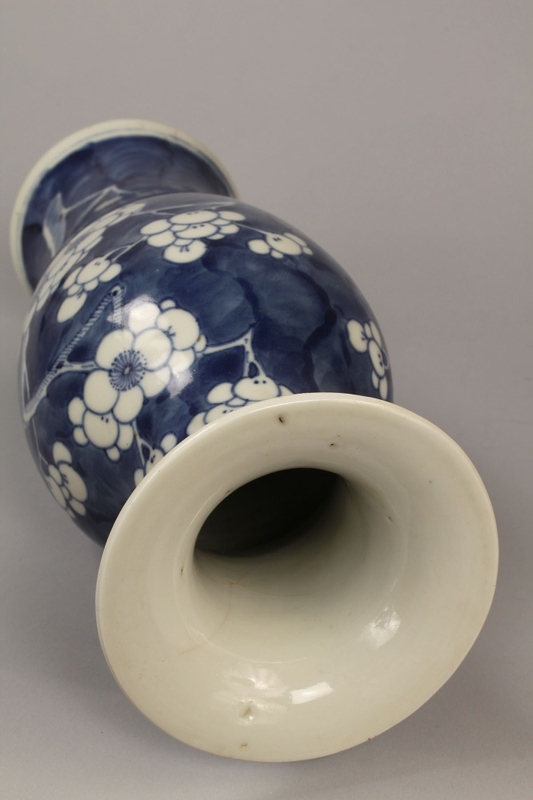 3RD ITEM: Excellent condition.